In an extraordinary leaflet delivered to residents in Brent today, Brent Central Liberal Democrat MP Sarah Teather really insults the intelligence of the people of Brent. In addition, it is claimed that “Brent News is fully behind Sarah’s campaign to save our stations”. Wait a minute….. a Sarah Teather publication is behind Sarah Teather’s campaign???? Does Sarah Teather think that people in Brent are stupid and would think this is a Brent non-party political neutral publication? 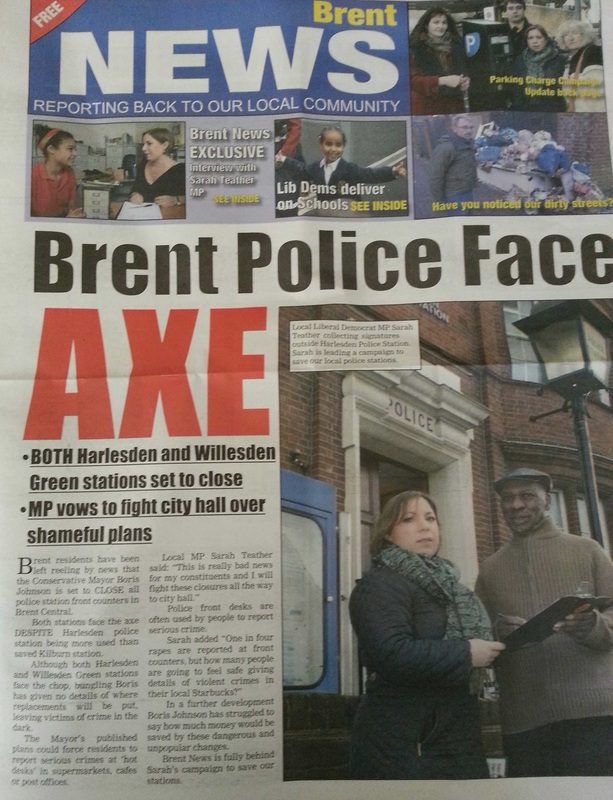 The Liberal Democrat published ‘Brent News’ also claims to have an exclusive interview with Sarah Teather MP. Expect more gutter politics leaflets from the Brent Liberal Democrats over the next two years as they aim to hold on to their seats over the next two years. Posted on April 10, 2013 by Cllr Krupesh HiraniPosted in Brent, Liberal DemocratsTagged Brent, Brent Central, Brent Lib Dems, Brent Liberal Democrats, Harlesden, Lib dem dirty campaigns, Liberal Democrat, Member of Parliament, Sarah, Sarah Teather, Sarah Teather MP, Willesden. ‘Stupidises’ is not a real word.